Jojoba oil, featured in our rich nourishing Restorative Facial Oil, is a liquid wax extracted from a shrub known as the Simmondsia chinensis, native to the deserts of Mexico and the southern United States. The fruit from which the oil is extracted is a unique acorn shaped nut, comprised primarily of a liquid wax found within its seed. In the 1970s, as public opinion shifted against hunting and slaughtering whales to use their oil and blubber in soap and cosmetics, jojoba oil became the primary replacement, boasting all of the richness of whale oil, superior humectant properties, and none of the animal cruelty. 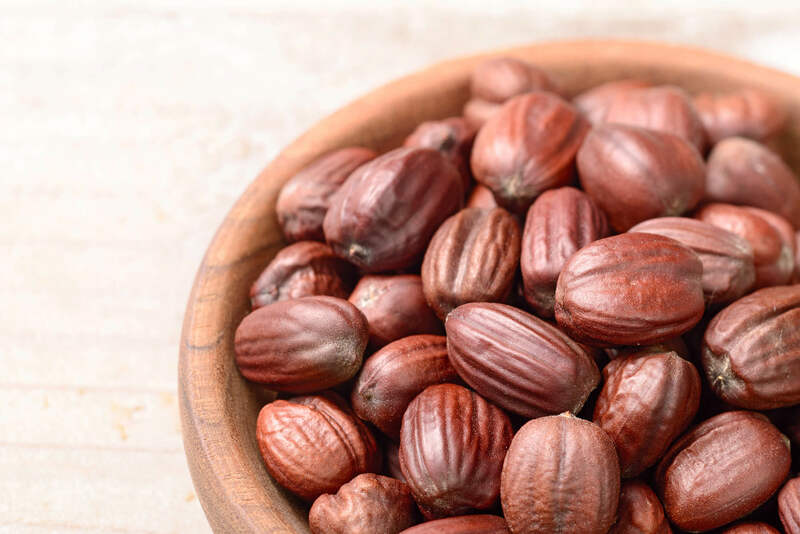 And bear in mind that Native American tribes have used jojoba oil for skin for centuries as a naturally occuring hair and skin conditioner, grinding the seeds with a mortar and pestle to create a buttery salve that’s effective as a skin healer and protectant. Today jojoba oil is one of the most effective ingredients used in plant-based moisturizing formulas. Its extraction process is simple and maintains the integrity of the plant’s naturally occuring fatty acids and minerals – first its seeds are gathered and dried, then they’re funnelled into a seed press in order to release the ultra valuable and nourishing wax, which has the appearance of a light oil. 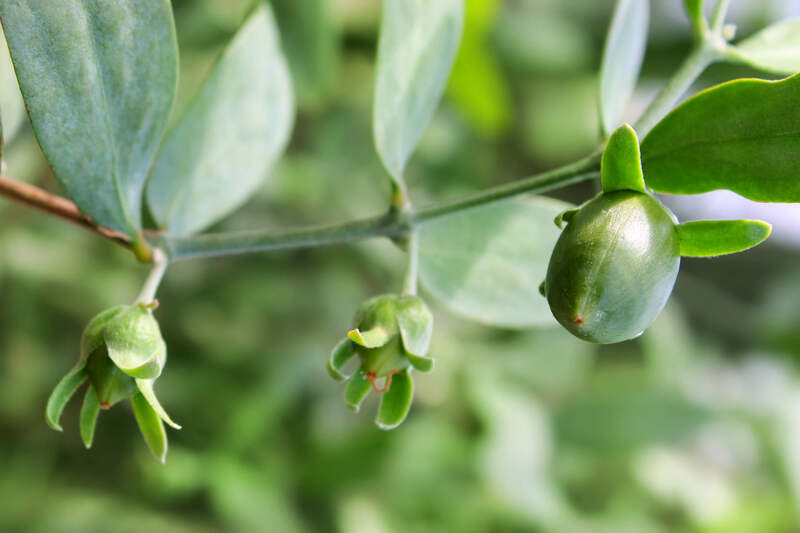 Jojoba oil is a multi-purpose ingredient which acts as both a non comedogenic moisturizer and also a naturally occurring preservative which maintains the freshness of ingredients it’s combined with. Jojoba oil boasts an array of skin benefits that distinguish it from other oils and give it its skin savior reputation. The oil closely resembles sebum in composition, making it an excellent moisturizer for skin and scalp that works synergistically with existing sebum levels. Out of over 350,000 identified plant species, jojoba oil is distinct in its remarkably similar chemical composition to the lipids produced by human sebaceous glands – both sebum and jojoba oil are composed almost entirely of straight-chain acids and alcohols. This means that jojoba oil is readily absorbable by the topmost layer of our skin, and is effective when it comes to balancing out sebum production and thus regulating pore size and congestion, while simultaneously providing targeted moisture. What’s more, jojoba oil contains compounds called tocopherols – alpha, delta and gamma tocopherols – which are all forms of Vitamin E that are effective at eliminating free radicals and thus slowing the aging process in the epidermis. In addition to its moisturizing, anti-acneic, and anti-aging properties, jojoba oil is an excellent ingredient for targeting specific skin issues. It’s an effective remedy for chapped lips, providing a waxy barrier that prevents moisture loss and keeps lips soft and supple. It’s also an amazing remedy for dry or irritated cuticles, as its moisturizing properties combined with its anti-inflammatory Vitamin E content means that it simultaneously soothes and locks in hydration. It’s also an effective treatment for eczema and psoriasis – it encourages the turnover of dead skin cells, forms a protective barrier from outside irritants, and can also reduce the risk of secondary infection due to its antibacterial and antimicrobial properties. All this is to say that it’s a truly versatile ingredient with an amazing variety of applications, and a sweet nutty aroma as a bonus. In our organic formulas, we use organic cold-pressed jojoba seed oil, the purest and most potent form of the ingredient. The cold pressing process is simple: the seeds are compacted between two plates, releasing their natural oil without the help of heat. Applying heat to the seeds speeds up the process and produces more oil, but also breaks down the nutritional content of the final product. This is why we always opt for cold-pressed jojoba oil for face and all-over use. Using an extraction process that doesn’t include a stage in which high heat is applied to the plant means that all of the original nutrients and vitamins are left intact and delivered to your skin in an unaltered condition. 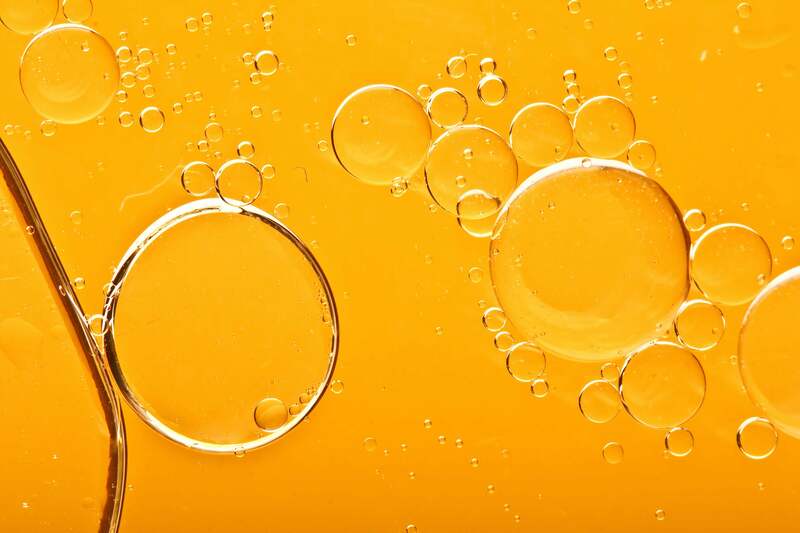 What’s more, our jojoba oil for face is unrefined, meaning that it hasn’t been treated with the chemical solution (typically sodium hydroxide) that refined oils are subject to (effectively diminishing their nutrient and antioxidant content). What this all amounts to is a super pure final oil that retains its original chemical structure. This is the oil that features in our Restorative Facial Oil, a cold-pressed blend of jojoba, rosehip and pomegranate oils, plus several other plant-based lipids chosen for their high antioxidant contents and easy absorption. In this formula, jojoba oil works to deliver intense moisture and address antioxidant deficiencies. Its sebum-like qualities means that our Restorative Facial Oil is a must-have for both acneic and drier skin types: whatever your skin concern, it works to balance out your lipid levels to bring you to a happy matte-but-hydrated medium. Plus jojoba oil creates an effective barrier to external elements, and thus this product is an ideal formula to use on top of your toner and serum – think applying active ingredients, then sealing them in. Make sure to apply your facial oil correctly for the most benefits. Working with the ultra nourishing jojoba base, the rosehip and pomegranate oils provide high doses of antioxidants to help promote elasticity and enhanced collagen production for a supple smile. It’s definitely a must-have and an everyday staple for a wide range of skin types. Jojoba oil is also an amazing carrier oil that enhances the other ingredients it’s combined with. 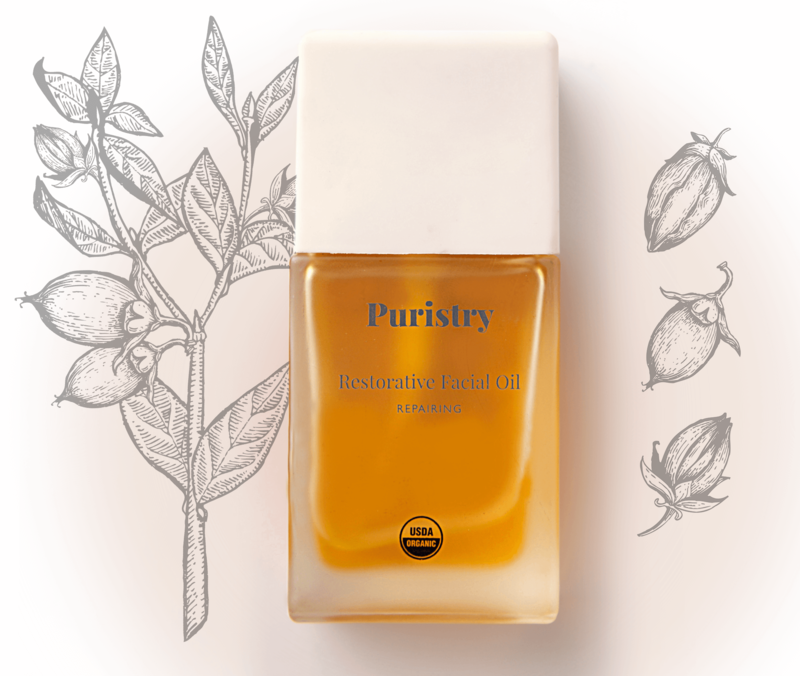 Jojoba oil doesn’t go rancid, so its inclusion in our Puristry formulas means a longer shelf life and guaranteed integrity of less stable oils and extracts. It also allows us to nix synthetic preservatives which can cause irritation or internal hormonal disruption when absorbed. In addition, jojoba wax has a very low melting point, so it practically remains in the liquid state at all times, contributing to easy application and the light texture of products its incorporated into. Jojoba oil benefits don’t stop at the face -- it’s a wonderful oil for all-over body and hair moisturization as well. Use it instead of your normal body massage oil to soften and soothe spots affected by chapped skin or psoriasis. For use as a hair moisturizer, add a couple drops to damp, clean hair. You can also add 3-5 drops to your regular conditioner for an extra emollient layer for your locks. With this array of benefits and applications in mind, we’re currently starry eyed over this naturally occurring waxy skin tonic. Keep up with us here for more ingredient spotlights!